What is this dream of yours which you have been working so hard to realize for the past twenty-five, thirty years, ignoring all kinds of hindrances and obstacles? "The dream is one. It is not mine, it is centuries old. Let us call it eternal. This part of the earth began dreaming this dream from the very dawn of human consciousness. India is not a piece of land, it is not a political entity, not a chapter of historical facts. It is not the mad race for money, power and status. 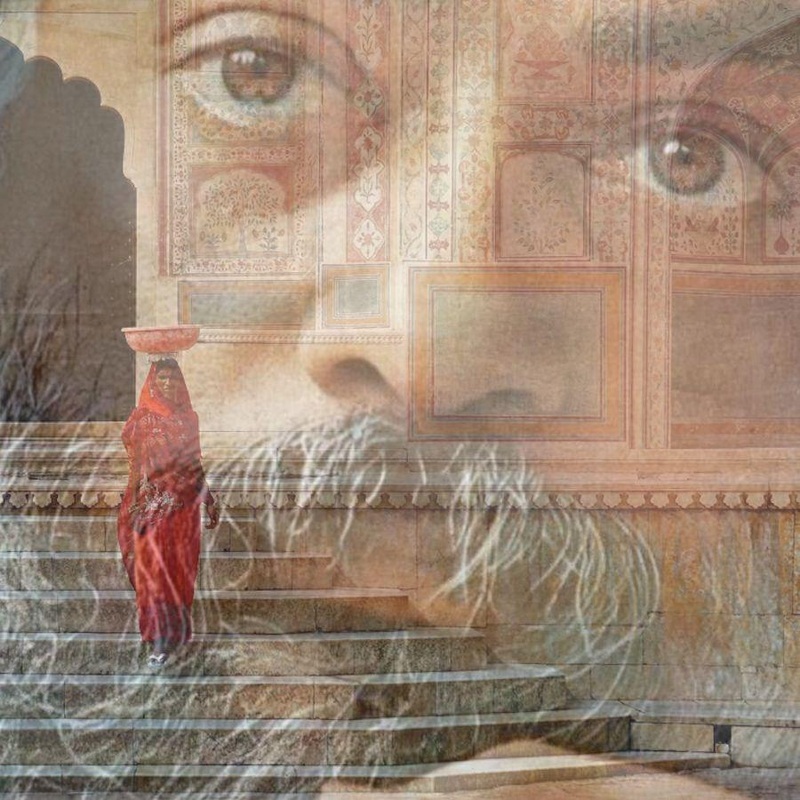 India is a longing, a thirst for the attainment of truth – the truth that resides in our every heartbeat, the truth that is sleeping in the very layers of our consciousness... That remembrance, that reaffirmation is India. “Amritasya putraah – Oh sons and daughters of the eternal!” Only those who have heard this call are the true citizens of India. No one can be a citizen simply by being born in India. Wherever one is born on earth – in any country, in any century, in the past or in the future – if his search is a search of the inner, he belongs to India. I, too, am just another traveler on that eternal pilgrimage. And I have only wished to remind those who have forgotten it, I have only wished to awaken those who have fallen asleep, so that India may regain its inner dignity and pride. The destiny of the whole of mankind is connected with the destiny of India. It is not a question of just one country. If India disappears into darkness then man has no future. And if we again give India its wings, if we again give India its sky, if we can again fill India’s vision with the longing to fly toward the stars, then we will have saved not only those who already have a thirst for the eternal, but also those who are sleeping today but will wake up tomorrow, who are lost today but will find their way home tomorrow. The fate of India is the destiny of mankind. The way we have polished man’s consciousness, the lamps we have lit within him, the flowers we have encouraged to bloom in him, the fragrance we have cultivated within him – nowhere else in the world has anyone accomplished this. This has been a continuous discipline, a continuous yoga, a continuous meditation, over some ten thousand years. We have lost everything else for this, we have sacrificed everything for this, but we have kept the lamp of consciousness burning even in the darkest nights of man. No matter how dim the flame may have become, the lamp still burns. You ask me what my dream is. The same that all the buddhas have always had: to remind man of that which has been forgotten, to awaken that which is asleep – because unless and until man understands that eternal life is his right, that godliness is his birthright, man is not whole. He remains incomplete and crippled. God has been talked of in each and every corner of the world, but he has always remained far away – very far away, beyond the skies. Only in India have we enthroned godliness within man himself. Only in India have we recognized the potential in man, the beauty and dignity of man becoming a temple by enthroning the divine within man himself. How every person can become a temple, how each moment of every person’s life can become prayerfulness – this you can call my dream."